Medical Physics: Providing a Holistic Approach to Women Patients and Women Staff Safety in Radiation Medicine. This year we celebrate the 150th birthday of Marie Sklodowska-Curie. Marie Curie is remembered for her work on radioactivity and her huge contribution to the fight against cancer. Her work continues to inspire our mission to support people living with illness, including cancer. The theme for IDMP 2017 focuses on our approach to women patients and women staff safety in radiation medicine. There are health problems that are more prevalent in women than in men such as breast cancer and osteoporosis. It is well known that medical physicists have developed imaging and radiotherapy methods that have increased women’s length of life and have improved quality of life, for example X-ray mammography for the early diagnosis of breast cancer, dual-energy X-ray absorptiometry for the diagnosis of osteoporosis and brachytherapy methods for gynecologic cancer. Medical physicists not only developed these methods but also play a fundamental role in their application ensuring the quality of procedures while minimizing radiation risks to women patients. Organize an event and invite people to promote the role of medical physicists in the worldwide medical scene. And let us know how you celebrated the Day! This year the IOMP organizes 3 events in Jaipur, Kuala Lumpur and Vienna in cooperation with the IAEA, the WHO, the Asian Conference of Medical Physics and the University of Malaya. We will invite you all to attend online so that we can celebrate the Day together. More information at http://www.iomp.org/idmp/index.php/90-idmp-news/132-global-events-to-celebrate-idmp-2017. The Bulgarian Society of Biomedical Physics and Engineering , together with the International Atomic Energy Agency, is organising a course on optimisation in Computed Tomography 8-9.11.2017, Acibadem City Clinic Tokuda Hospital to celebrate the 5th International Day of Medical Physics. A public lecture with video streaming will be organized on November 7th 2017 at 19:00 at the Ludwig-Maximilians-Universität München (LMU), Germany. 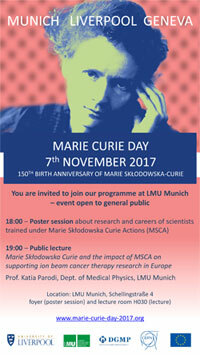 This event, organized in the framework of the School of the EU Marie Skłodowska-Curie Training Network OMA (Optimization of Medical Accelerators) aims at celebrating the 150th anniversary of Marie Skłodowska-Curie's birth by addressing the impact of EU Marie Curie Actions on supporting ion beam cancer therapy through education and research opportunities for young generations across Europe. The lecture will be held by Prof. Katia Parodi, who is head of the Department of Medical Physics at LMU and president of the German Society of Medical Physics (DGMP). This initiative, promoted by the OMA coordinator Prof. Carsten Welsch from the University of Liverpool, will be endorsed by DGMP. To raise awareness about the role medical physicists play, IOMP organizes annually the International Day of Medical Physics (IDMP) on November 7th. The Hellenic Association of Medical Physicists, considers this occasion a great opportunity to increase awareness of the public regarding the profession. The year 2017 will be the biggest event ever with 4 hellenic women medical physicists being awarded for their work. The event will be held at the National and Kapodistrian University of Athens under the auspices of the University. The event is under the auspices of UNESCO that has a pioneering programme for the promotion of women in science. It is also, supported by the Hellenic Institute of Cultural Diplomacy. The primacy of culture in health education activities is to deepen and extend the possibilities of progressive approaches that focus on culture. The final part of the session will be devoted to honour Stavros Niarchos Foundation for the large scale grant, supporting the replacement of obsolete linear with new, state-of-the-art machines. HAMP has received an important donation for implementation of training programs for the medical physicists of these hospitals. The programs included theoretical and practical training in Greece and abroad, to ensure optimal operation of radiotherapy equipment. 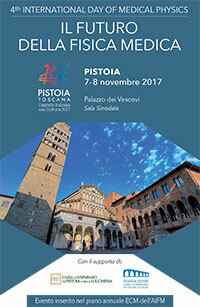 A special Symposium entitled "The future of Medical Physics", will be organised in Pistoia - a city in Tuscany declared by the national Government the "Italian Capital of Culture" for the current year to celebrate IDMP2017. Thanks to this status, the location is granted special attention by the media and a significant public coverage of the event is expected. The program focuses on future developments of our discipline, especially in non-traditional areas, involving national and international personalities from the research world. Special attention will be paid to the role of women in Medical Physics. In the Republic of Moldova the International Day of Medical Physics in 2017 will be celebrated for the 5th time. 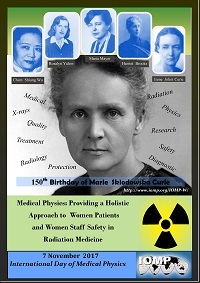 The motto proposed by IOMP – Medical Physics: Providing a Holistic Approach to Women Patients and Women Staff Safety in Radiation Medicine – is actual and in 2017 marks the 150th Anniversary of Marie Curie. At the beginning of 2016 by the initiative of the President of the Association of Medical Physicists from the Republic of Moldova (AFM Moldova) was proposed the formation of the separate group of women (as they are 25% of Association’s members), which will deal with safety of women exposed to radiation in both: as patient and professional. As in the past, the AFM Moldova will organize the meeting and invite the specialists from different fields. The target audience could be representatives from academic institutions (State University of Moldova, and State University of Medicine and Pharmacy), ministries (Labour, and Education), and different medical institutions. 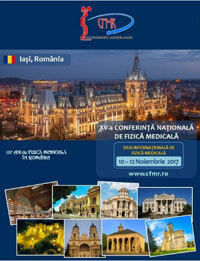 The invitation and programme of the meeting will be published through the site of the Association (https://www.afmmoldova.org/a-v-a-editie-a-zilei-internationale-a-fizicii-medicale/) and members of the Association will share the information through social networks. IDMP celebration in the Republic of Moldova facts: – In 2013 a group of 7 specialists in medical physics promised to celebrate this day annually according to the event motto as is established by IOMP; – Second celebration of the IDMP(2014) as round table with 3 reports was organized by SRL ALARAD at the National Centre of the Nuclear Security Support of the Technical University of Moldova, number of participants extended to 45 specialists from different fields of medical physics including representatives of the regulatory institutions; – In 2015 SRL ALARAD organized IDMP forum where 6 reports were presented to 23 participants from different technical support organizations; – In 2016 IDMP was organized for the first time by the Association of Medical Physicists from the Republic of Moldova, 8 reports were presented including report from Romania for 35 participants from different medical and regulatory institutions. The Dutch NMO (NVKF) has published an announcement of the IDMP 2017. 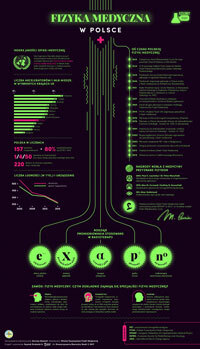 In a short article, attention was paid to the 150th anniversary of the birth of Marie Curie. A summary was given of her life, her Nobel prizes and her role in the Great War.The article also mentions the role women play in the Dutch medical physics community. The International Day of Medical Physics was celebrated in Poland at several places. This is an important day for the Polish society because in our hearts Madame Curie, Madame Skłodowska-Curie is Polish. However, we realize that without France and Pierre Curie her extraordinary ability, would not bring such inspiring achievements. There were different ideas implemented how to celebrate this day. One day conferences and panel discussions on the role of Madame Curie-Skłodowska in implementation of ionizing radiation into cancer treatment were organized . A very interesting idea is taking place in Szczecin where a competition is being organized, already for several years. This contest is addressed to high school students. They prepare a presentation on the role of medical physics in medicine. Nearly 40 presentations were submitted this year. A very interesting poster has been prepared by the group from the Technical University, Warsaw in cooperation with the Polish Society of Medical Physics. In this poster the history of medical physics in Poland is presented. The first date, 1932, is the year in which the Radium Institute was established in Warsaw. It was due to Marie’s initiative. Two years later, in 1934, the Laboratory of Physics, today the Medical Physics Department started. 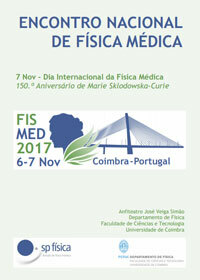 The Medical Physics Division of the Portuguese Physics Society (DFM-SPF), together with the Physics Department of the Faculty of Science and Technology of the University of Coimbra, organizes the National Meeting of Medical Physics – FISMED2017, that will take place on November 6-7th and include the celebration of the 5th International Day of Medical Physics (IDMP). The event intends to promote bridges between hospitals and universities, highlighting the importance of scientific collaborations between all parties working together for better patient care. Furthermore it aims to raise awareness about medical physicists roles and responsibilities, enhancing safety and improving efficacy of radiation oncology and medical imaging procedures. The opening ceremony, celebrating the 150th anniversary of Marie Skłodowska-Curie, will include an evocative session to Prof. Mário Silva, a remarkable name of the University of Coimbra, who was himself assistant of Marie Curie at the Institut du Radium in Paris (1925-1930). Following this year IDMP theme, a woman, Maria Preciosa Cruz Pontes, will be honoured, for her pioneering contribution to Medical Physics at the Portuguese Institute of Oncology in Coimbra, between 1964 and 1986, where in 1970 the first Iberian brachytherapy unit with Co-60 was installed. The meeting will include a course on "Magnetic Resonance Imaging", integrating the series of courses of the Portuguese School of Medical Physics (PSMP2017), and four scientific sessions on Diagnostic/Interventional Radiology, Nuclear Medicine, Radiotherapy and Radiation Protection. The program will also include a round table focused on the transposition of the Directive 2013/59/EURATOM and the expected impact on Medical Physics in Portugal. The Romanian College of Medical Physicists (CFMR) will celebrate the 5th "International Day of Medical Physics" (IDMP) as it was called by IOMP and the 3rd "International Day of Radiology" (IDoR) as it was called by ESR, RSNA and ACR. To celebrate the International Day of Medical Physics (IDMP) on November 7th and International Day of Radiology (IDoR) on November 8th, the Romanian College of Medical Physicists (CFMR) in cooperation with "Alexandru Ioan Cuza" University of Iasi is organizing the "15th Romanian Conference of Medical Physics" in Iasi, (Romania), between 10-12 November 2017, http://www.cfmr.ro/evenimente/evenimente-nationale/Iasi2017. 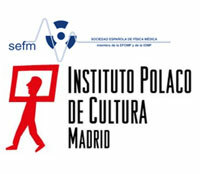 The Spanish Society of Medical Physics (SEFM), in collaboration with the Polish Institute of Culture, organizes in Madrid an informative day to commemorate the International Day of Medical Physics and the 150th anniversary of the birth of Marie Curie. This event will be held at the Real Academia de Ciencias Exactas Físicas y Naturales the 7th of November from 18 to 21h. This activity is framed within the Science Week of Madrid, an event of scientific dissemination and citizen participation organized by the Madri+d Foundation that offers to the participants the opportunity to get a closer look at the work done by scientists, their research, motivations and efforts. Conference of the Polish Institute of Culture on the figure of Marie Curie. Dr. D. Jerzy Zieleniewski. Radiologist and Honorary Consul of Poland in Murcia. "From the origins of Medical Physics to the present". Dr. D. Pedro Fernández Letón. Head of the Medical Physics Department. Hospital Universitario HM Sanchinarro. President of the Deontological and Institutional Commission of the SEFM. Madrid. "What does a Medical Physicist in a hospital do?" Dr. D. Hugo Pérez García. Medical physicist. University Hospital Quirónsalud Madrid. 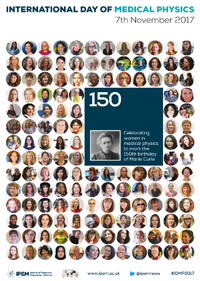 The Institute of Physics and Engineering in Medicine (IPEM) asked women medical physicists across the world to send in a photograph of themselves to feature on the poster. And more than 150 women from every Continent responded to the call, from Canada to Australia, Chile to India, and all points in between. 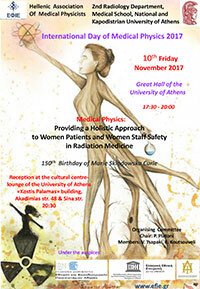 The poster marks the International Day of Medical Physics, held on 7th November, which this year celebrates women in medical physics to commemorate the 150th birthday of Marie Curie. November 7th 2017 marks the 150th anniversary of the birth of Marie Sklodowska Curie. In this Virtual Special Issue, EJMP celebrates with a look back at her remarkable career and the impacts she has had on modern science.